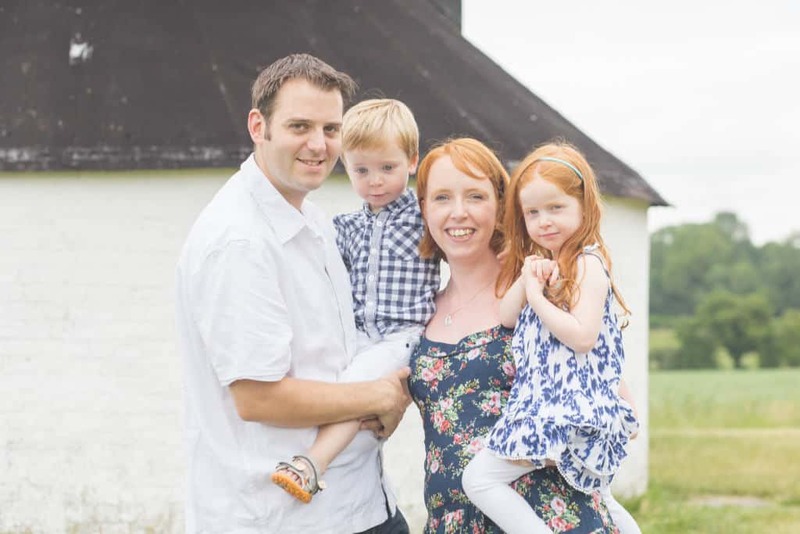 Inspirational Parents #10 features a blogger whom many of us look up to. Donna blogs at What the Redhead Said. As well as writing her brilliant blog and being a busy mum, Donna holds down a “day job”, cooks and goes running. She also manages a Facebook group to support other parent bloggers and is always the first on hand with help and advice for anyone that needs it. It is easy to assume that someone who is as successful as Donna has had an easy time of it. In fact, she has overcome notable adversity to get to where she is today. It is great to hear a little more about the person behind the blog. I think you will agree that she is truly an inspirational parent. I think through my first pregnancy I was quite realistic about how I saw life changing after we became parents. I knew we’d go out less as a couple, have to revolve everything around the baby and have less money whilst I was on maternity leave. The one huge thing I didn’t expect though was how many friends I lost as a result of having a baby. Unfortunately, within a year of becoming a parent I lost most of my social circle of friends as they couldn’t deal with the change in our relationship – that I couldn’t just go out in the evenings whenever I wanted, that I was breastfeeding on demand so couldn’t go out for the day unless the baby came too in the early days and that really the baby came first. I think the biggest challenge is trying to make the work/life balance work. Before children I worked office hours and Hubby worked shifts but finding childcare to fit around his shifts is near on impossible so the challenge for us has been to both continue working whilst organising childcare too – which we manage but by working pretty much opposite each other. Every month is a challenge! In all honesty, our family life. Being happily married, having two beautiful children and owning our own home are all things I didn’t ever expect to have. Meeting Hubby literally changed my life and gave me a future that I am so, so proud of. Our life now is not perfect but it is definitely my greatest achievement. Wow. I think there is far too much to write. I was bullied throughout school for being ginger. The weekend before my GCSE’s my parents split up and less than six months later I got kicked out of home – two weeks before Christmas when I was 17. I had to drop out of college to support myself and ended up renting a room in a house and having a couple of the most awful years of my life. But, it didn’t kill me, instead I met Hubby and as they say – the rest is history. So many people. When I was a child I saw my Mum and Dad working two jobs each, constantly working to support our family. We lived in a council house and we never seemed to have any money but I was always well fed and clothed and we always had the best Christmases. My parents’ work ethics really inspired me through life. I think I would go back to my 17 year old self – who think’s life is over when she has to tell college she won’t be coming back after Christmas – and I would tell her that everything is going to be ok. A-levels aren’t everything and you won’t need them anyway! But then again I probably would have been a typical teenager and not listened anyway! In which case, I would go back to the day my boy cat died last June. We don’t have a cat flap and I remember letting him and his sister out for the day before I went to work. I’d go back to that moment and before I open the door I’d give Luke an extra hug and I’d tell him I love him. I’d still let him out, and I’d still see him look back at me before running off to play. No doubt he’d still get hit by a car that day but at least I would have got to savour that last cuddle. Ooooh my very own Dragons Den! I would love to see someone invent some sort of magic sun cream applying device. I spend most of the summer not just fearing for my own ginger-ish skin but more so the skin of the children. If there was some device that could coat them fully in just the right amount of suncream and then reapply it at regular intervals it would save me so much anxiety over the summer months – it would also save anyone else getting sunburnt and having hand marks on their shoulders where they’d tried to apply suncream by themselves as an 18 year old. Woah a day without the school run, housework and emails?! That would be AMAZING. I think there’s only one thing for it – a spa day! Complete with lunch, afternoon tea, champagne – even though I’m not that keen on bubbles you kinda have to don’t you? I’d obviously have to have a pedicure and a nice massage too. All the while wearing a fluffy robe! Heaven. I think information is power and for me, researching the options available to us as soon as possible definitely empowered us to make the right decisions for us when it came to our work/life balance. For example, we knew how long I was allowed off on maternity leave, the minimum I had to be back at work to qualify for maternity leave again and the fact we weren’t entitled to any form of benefits if I gave up work. This enabled us to make the decision to have two children close together in age, to have two lots of maternity leave only six months apart and for me to then go back to work part time around Hubby’s hours. I think if you research anything enough you’ll find the right answer for your family situation and dynamic. Oh I haven’t had a night out in so long! I would go out for a nice meal somewhere – Italian, you just can’t beat Italian. It would be with Hubby and our closest friends and I would be working my way through the cocktail menu and we would talk about everything – our plans for the year, holidays and making our dreams into realities. It would be a lovely night. Next Post The rabbit who wants to fall asleep: Win! Gorgeous post! Such a lovely introduction and some really interesting questions – I do like a bit of quirk to really get to know someone! What a fab read. It’s really interesting to read more about the people we interact with everyday on social media. Sometimes I think we can forget these people are real people, with real lives and real problems! Love the idea of going back to give your cat a cuddle. I think I’d be tempted by that too. It is always interesting to get that personal insight into a fellow blogger’s life. Great questions too. Aww, that comment about the boy cat. So touching. It’s lovely to hear more about the people behind the blogs, great idea for a series. Really enjoyed reading this and learning more about the woman behind the blog. Lovely post. Love finding out more about my fellow bloggers and Donna is one of my faves – lovely picture too!